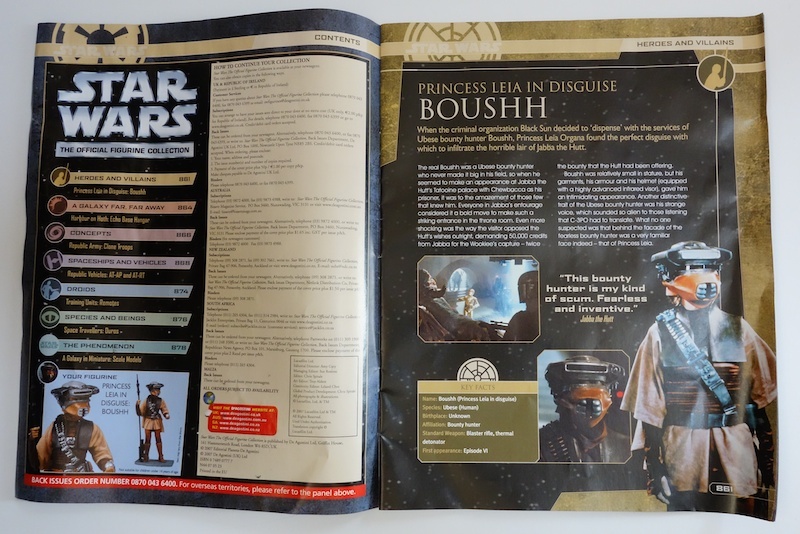 I posted about the “Oola” issue yesterday (issue #45), so here’s Boushh (issue #44). 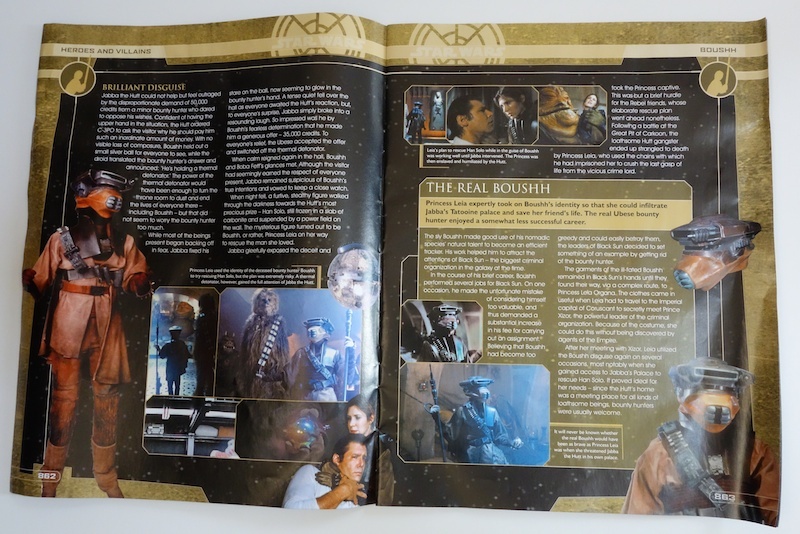 It’s basically the same in structure: a few pages of background for the featured character and several unrelated articles. Still, I kind of like these magazines and their big glossy photos. 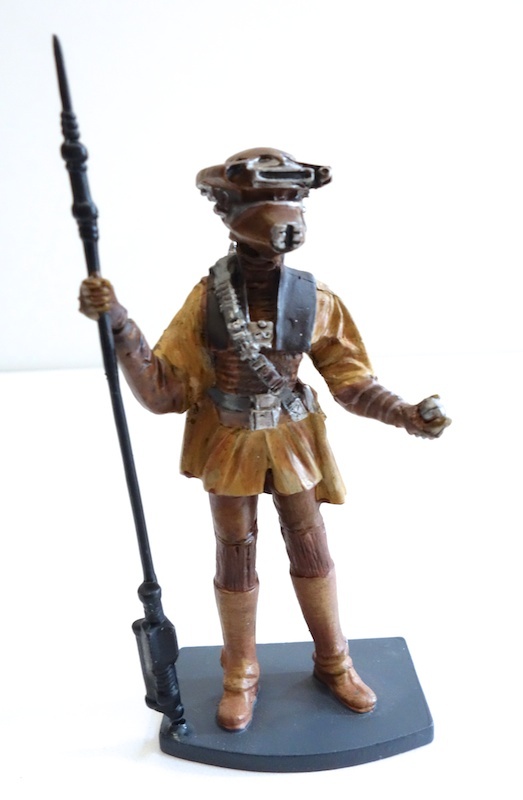 The figure is okay, although I’d have to give a slight edge to the (admittedly considerably larger) Hallmark ornament when it comes to paint and detail. Her staff had come loose in the package, but some superglue fixed that. Here are all of my Deagostini figures so far. 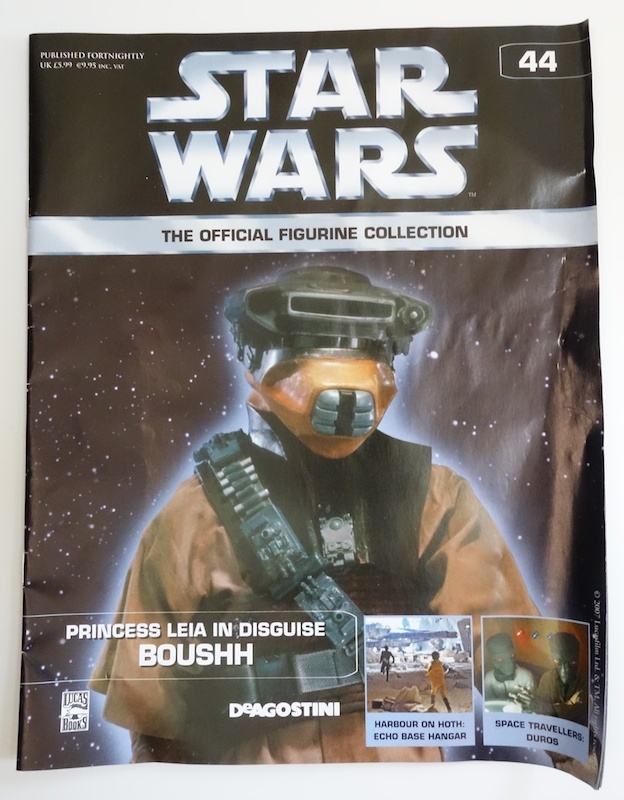 There’s still a Max Rebo one that I haven’t managed to track down.